Home > Safety > What is required to extend the life of your tires? Back in the day, some people used to store tires nearby their central heating boilers. That is too hot, as heat will have an adverse effect on the rubber compounds. The tire will begin to dry out, harden, and develop cracks. It may even combust, Dražík explains. The most suitable tire storage location is a cool space, below 15ºC, where the tires stay dry. Dark spaces protected from sunlight are preferable, as UV radiation will reduce the tire's durability, adds Dražík. An increasingly common approach is to store the tires in a tire hotel, as this frees up storage space for other use. A tire hotel can be an easy solution in cases where, for example, the housing cooperative forbids storing tires due to fire load concerns. In a tire hotel, the tires are inspected, washed and fitted by professionals. 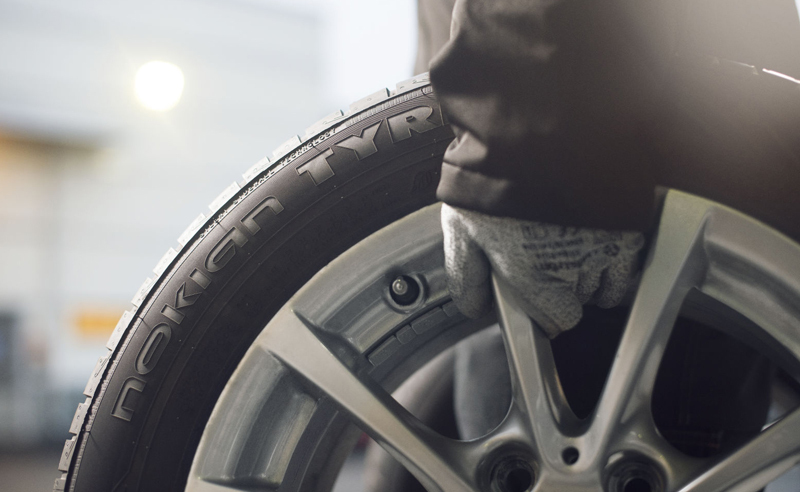 Storing the tires under the right conditions will extend their service life, Dražík emphasises. A carefully maintained high-quality tire will last up to six years. If your tires were manufactured over ten years ago, you should not use them at all. You can see the date of manufacture in the four-digit number on the tire: the two first digits indicate the week of manufacture, whereas the two latter ones tell you the year. A storage location with all the wrong features can damage your tires beyond repair during a single season. The storage recommendations for winter and summer tires are similar. Before putting your tires into storage, you should carefully wash and rinse them. Remove the largest rocks from the grooves and check the tread and sidewalls for cracks or abnormal bulging. When washing your tires, keep the point of the pressure washer’s water jet away from the tire, as it may disconnect the rubber from the web below it. This may cause the tire to break once it is used again, Martin Dražík said. Before storing tires, ensure that they are completely dry. The tires should not come into contact with oils, solvents, or other chemicals at the storage location. If necessary, you can purchase tire bags for protection. The tires should not be under heavy load and tension; in other words, you should not pile other things on top of the tire stack. – When storing tires on top of each other, I would increase the pressure slightly before storage, as the bottom tire is under quite a heavy load, Dražík said. For added peace of mind, leave the work to the professionals at the tire hotel.